USGA Golf Journal magazine cover featuring Tiger Woods winning an unprecedented third straight U.S. 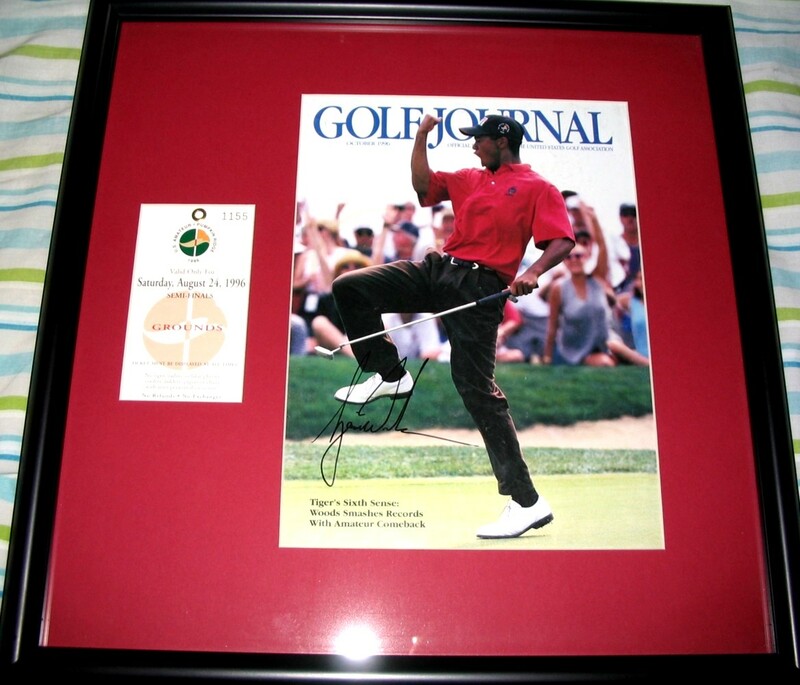 Amateur title in 1996 at Pumpkin Ridge, autographed in black marker, professionally matted and framed with an original ticket from the semifinal round at that historic event. ONLY ONE AVAILABLE FOR SALE. PLEASE BE AWARE THAT 99% OF NON-UDA TIGER WOODS AUTOGRAPHS OFFERED ON THE INTERNET ARE FAKE (INCLUDING THOSE AUTHENTICATED by GAI, JSA OR PSA/DNA). 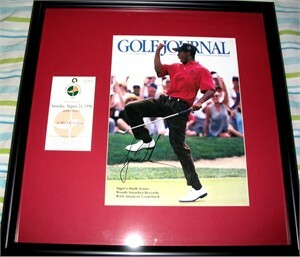 This Tiger Woods autograph was obtained in person at the Buick Invitational at Torrey Pines many years ago. With certificate of authenticity from AutographsForSale.com.